Canada’s Foreign Affairs Ministry announced a pledge of C$8.3 million (US$6.4 million) to the Iraqi government for their fight against Islamic State (IS, previously ISIS/ISIL). The money is designated for defense programs and non-lethal equipment. 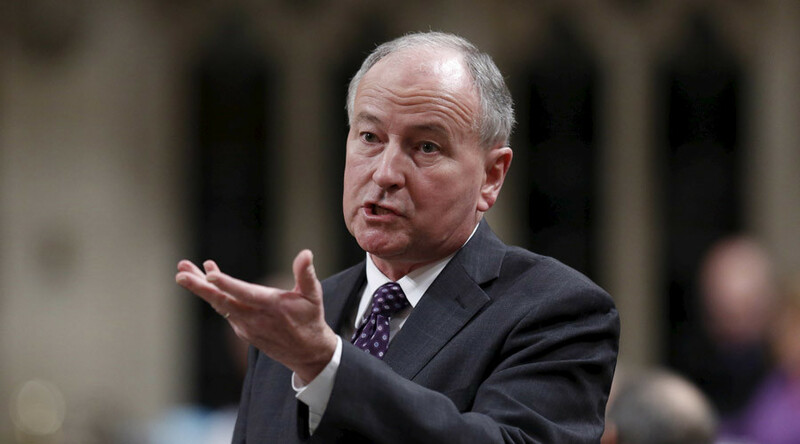 Foreign Affairs Minister Rob Nicholson made the announcement on Thursday after closed-door coalition meetings in Quebec City concerning the fight against ISIS. The meeting was the second in two months. The previous one was held on June 2 in Pairs. “We will not stand idly by while ISIS and its affiliates continue their murderous rampage in an attempt to wreak havoc across the region, spawn splinter cells from North Africa to South Asia, and prey on youngsters in the West,” Nicholson said. “Canada will provide up to 8.3 million dollars in programming to build the capacity of Iraqi authorities in mine action, supply non-lethal military equipment to countries affected by ISIS to contain the flow of foreign fighters and secure their borders, counter chemical and biological threats, and improve the flow of humanitarian aid,” the ministry said in a statement. Islamic State has been reportedly carrying out chemical attacks as of late, according to the UK-based Syrian Observatory for Human Rights and statements made by Kurdish People’s Defense Units (YPG). The most recent one reportedly took place in June and targeted a Kurdish village located in Syria’s north-eastern Al-Hasakah Governorate. IS fighters allegedly used poison gas while shelling the village. There were also reports in May that an IS suicide bomber had driven a truck filled with toxic chlorine gas into Kurdish positions while under heavy fire. Canada joined the US-led coalition against IS in August 2014, contributing six CF-188 aircraft, one CC-150T refueller, two CP-140 surveillance aircraft and approximately 600 CAF personnel. The country has committed to the anti-Islamic State campaign until spring 2016. As of June, the Canadian Air Force carried out over 100 air strikes in the coalition campaign in Iraq and Syria, according to official data. It reported an additional 18 strikes within Iraq in the beginning of July.